Cornerstone Insurance Agency is an independent insurance agency. We sell property & casualty insurance as well as life and disability insurance products. As independent agents we can quote through many different carriers and offer a variety of options and price ranges for every product. Most of our clients come to us through referrals! We strive to find the most appropriate insurance product at the best price for you, your family and your business. We also keep our clients well informed and ensure that they clearly understand what they are purchasing. Our clients are very valuable to us! If the client desires, we shop around at renewal time to ensure that they are still getting the best deal. It's a lot of work and most companies do not offer this, in fact they frown upon it. Our clients however, enjoy this level of continued, personal service and have come to expect it. Want to get this same kind of personal attention with so many choices? Give us a quick call to start saving money! Some people think it doesn’t really matter where you buy your insurance – but this misconception could be costing you money, service and protection. Buying insurance isn’t like buying bread or milk. Insurance is an important safety net for your family, home, car and business. CHOICE ~ An independent agent provides you with choices because independent agents represent numerous companies. They research each of these insurers to find you the best combination of price, coverage and service. Your independent agent offers one-stop shopping for a full range of insurance products –home, renters, auto, business, life and health. Everything is at your fingertips! Cornerstone represents over 135 insurers under one roof. COMPETITIVE PRICING ~ Independent agents are not tied to one insurance company — so you don’t need to change agencies as your insurance needs change! An independent agent is free to shop around with competing companies to ensure you get the best deal. If your rate goes up at renewal, no problem! Simply call your agent, let them know you want to check out the other companies, and the agent does the work for you. Did I mention Cornerstone represents over 135 insurers? COMPETENCE ~ When you purchase something as important as insurance, you want someone who will properly assess the risks you face and give you an objective analysis of the marketplace. Who better to trust than the independent agent who is constantly assessing industry standards, financials and compliance requirements of each insurer they represent? Cornerstone is an award-winning, BBB accredited business that has been featured in Houston Business Journal. 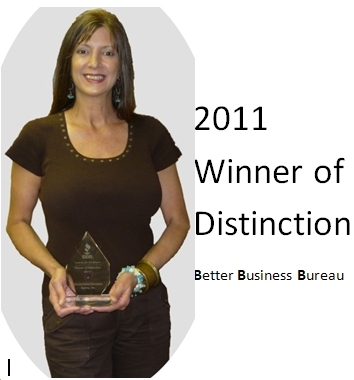 Leah Blache serves on the Board of Directors for the Greater Houston & South Texas Better Business Bureau and was chosen as a Five Star Professional in 2015 by her clients. The staff of Cornerstone Insurance Agency has a combined 60 years of insurance experience to help you, your family or your business save money on insurance! CONVENIENCE ~ Your independent agent is your consultant, working with you to tailor each policy to meet your specific needs. Since they represent numerous insurers, you have only one phone call to make to get access to just about any type of coverage you need: auto, flood, wind/hail, home, life, disability, commercial insurance, motorcycle, RV’s, boats, personal watercraft and specialty products... All with one simple phone call! Cornerstone Insurance Agency is a paperless office as we can handle everything via phone, fax and email. This means the customer never has to leave the comfort of their own home or office to transact business. Plus you can purchase on the go with your smart phone. PROTECTION ~ Only an independent agent can operate as your advocate when you do suffer a loss. Unlike captive agents and telephone representatives who work for the insurance company, your independent agent is free to work for you – ensuring that you are not alone in the claims process. If you have ever been penalized for a zero-payout claim because you consulted with your agent, than you know what we are talking about. When deciding how to protect the people and things closest to you, consider taking advantage of the benefits an independent agent can offer.